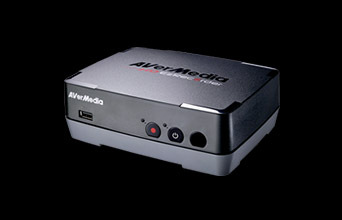 For use with systems running Microsoft Windows 7 or 10 and equipped with AVerMedia discrete desktop capture card, USB capture card. The related software and firmware will be downloaded and installed. 1. Fix BSOD problems caused by some cases. 2. Fix resolution 1360x768 problem. 3. Fix OSD flip issue. 4. Fix color adjust not saving after restart AP. 5. Fix HUE settings not valid issue. 1. Support 3440x1440 video resolution. 2. Fix an issue that recorded HDR file info was not correct. 3. Fix an issue that RECentral crashes when changing extended screen resolution. 6. Fix memory leak issue when recording RGB24 by NVIDIA GPU Encoder. 8. Fix long f/w update on specific platforms. 9. Modify display name of EDID to "AVT GC573". 3. Fix long f/w update on specific platforms. 4. Modify display name of EDID to "AVT GC573". 1.Fix an issue that cannot stream to Facebook. 2.Fix an issue that cannot stream to Twitch. 1. Add privacy permission detection mechanism. 2. Fix some microphone compatibility issues. 3. Improve the performance of recording when uses NVIDIA GPU encoder. 4. Fixed an issue that cannot upload an image with ""png"" format to twitter. 5. Fixed wrong description of HDCP detection. 6. Increase maximum MP4 file size. 7. 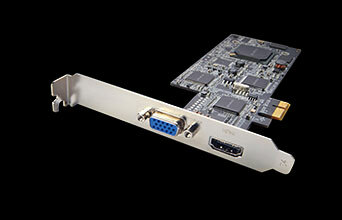 Support PCI-E bandwidth test. 8. Improve latency with RGB24 video format. 9. Support "always on top" mode. 10. Remove "tridef smart cam" background removal function. 11. Shorten the transition time between scenes. 12. Support ESC/Delete hotkey on the keyboard. 13. Support 2560x1440 p144, 2560x1080 p144 record. 15. Fix Color Adjustment issue. 17. Reduce CPU usage when GC573 doesn't capture video/audio. 18. Fixed some minor issues. Fixed an issue that the video was broken when recording. 1.Check the platform's compatibility with Live Gamer 4K. 2. Check if the performance of the platform supports 4K60 video recording.